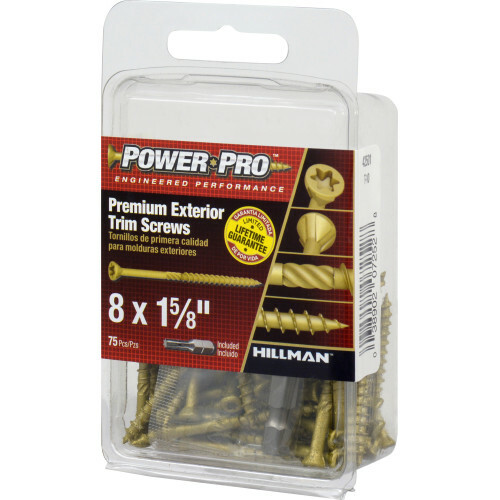 Power Pro Premium Exterior Trim Screws with star drive are ideal for composite decking, wood decking and exterior trim. 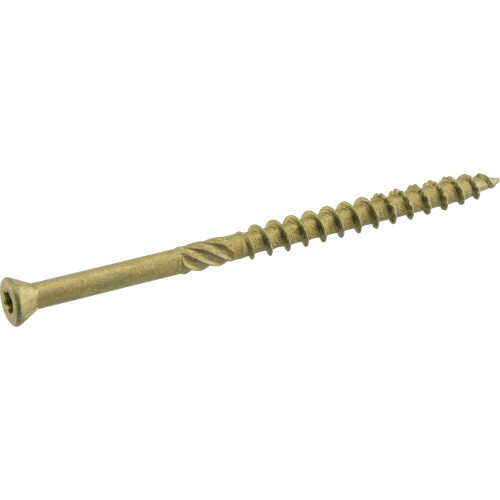 The Star Drive technology featured on these screws virtually eliminates camout for a smooth, effortless drive every time. 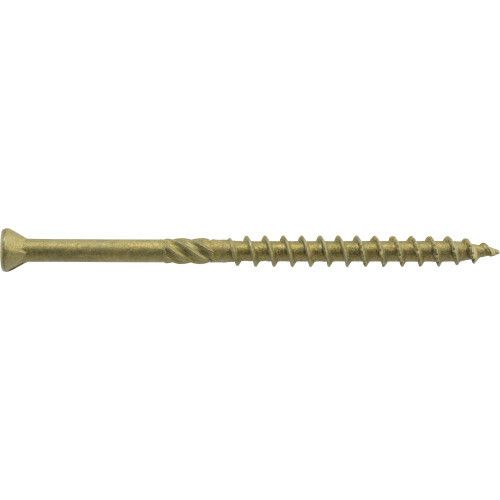 The fastener coating is guaranteed against corrosion in cedar, redwood, and treated wood for the life of the project. 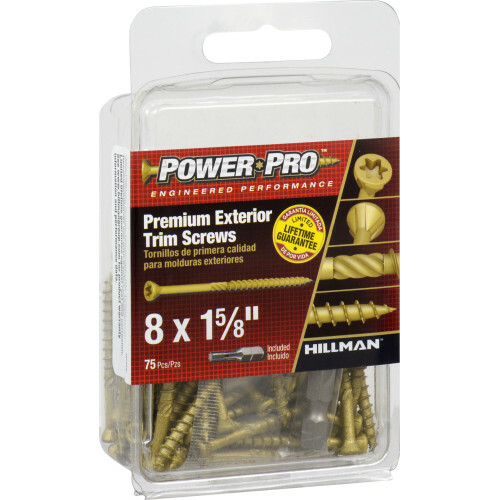 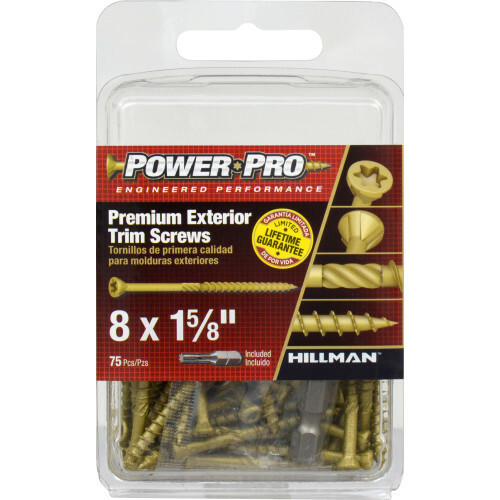 Power Pro Premium Exterior Trim Screws include a limited lifetime guarantee against rust and corrosion.